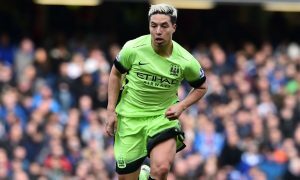 Samir Nasri is not one to hold back when giving interviews, saying what is on his mind no matter what kind of stir it may cause. In his latest interview with Canal+ in France, a short Q&A session, the former Manchester City star was asked a series of questions about his career. Nasri and Mario were teammates at Man City from 2011 to 2013, winning the Premier League title on that magical day in May 2012. He described that moment as the best of his career, and it should surprise no one that Yaya Touré has been his favourite teammate, the two enjoying a close friendship during their time together at the Etihad Stadium. Worst moment at Marseille: Suffering from meningitis.